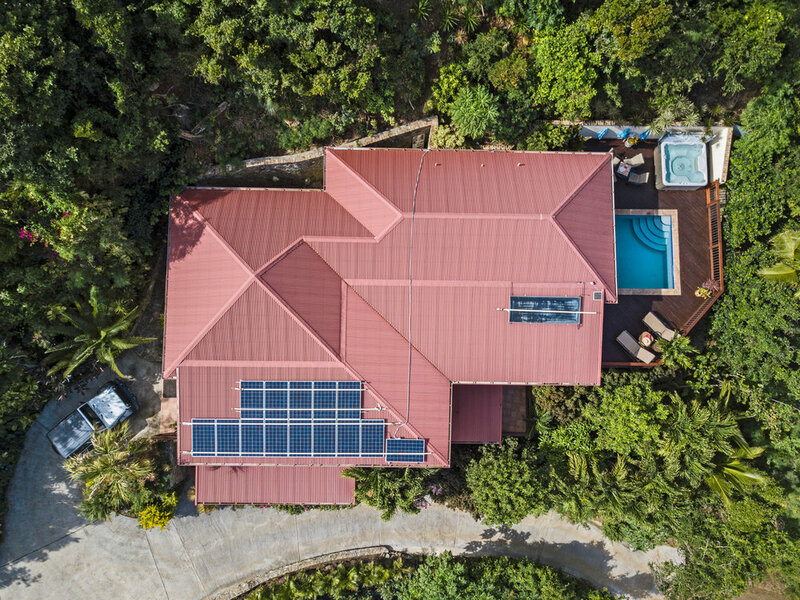 Easy Breezes is a magnificent luxury home custom built with the highest quality materials and beautifully furnished and equipped for maximum comfort and enjoyment. 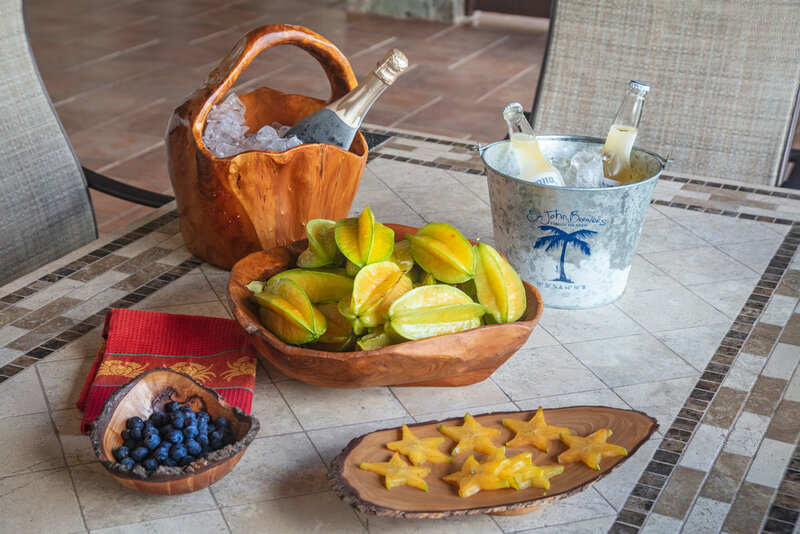 Whether you're inside relaxing with a book or out on one of the spacious deck areas; lounging by the pool, or sipping a beverage on the expansive covered lanai, Easy Breezes will provide everything you need to make your vacation on St John as pleasant and memorable as it can be! 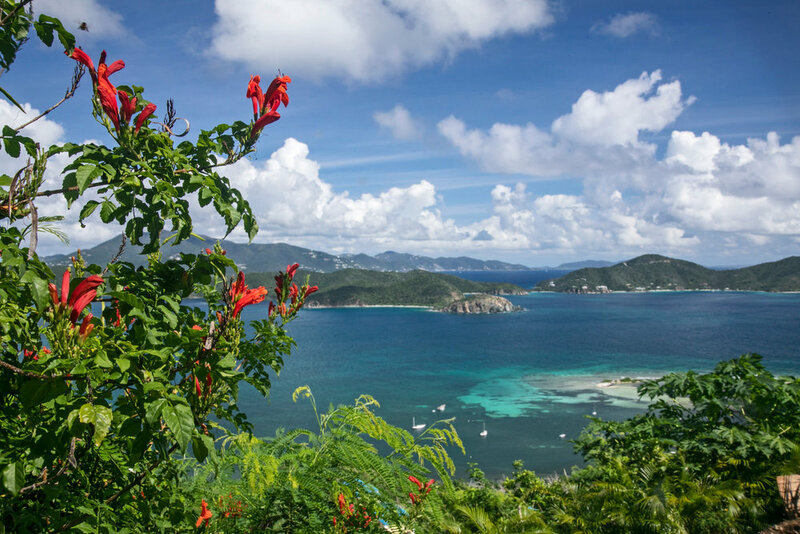 Awaken to sunrises over St. John's East End, stargaze while soaking in the hot tub and fall asleep to the shimmering lights of Tortola. 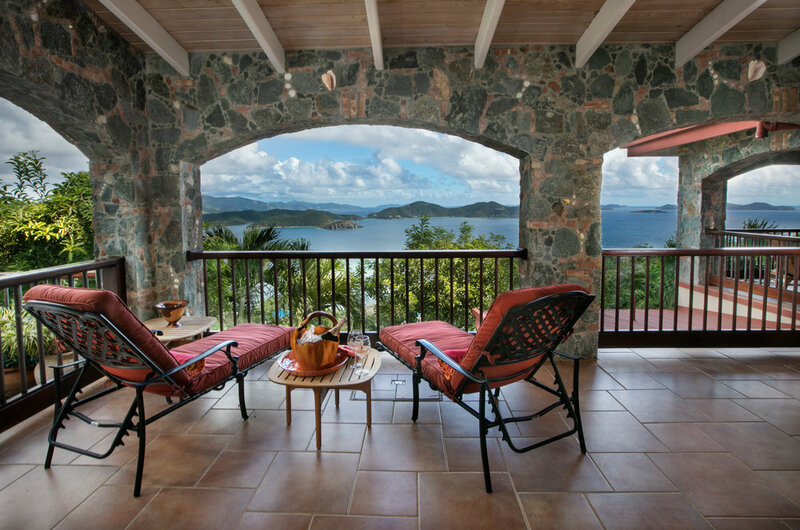 Easy Breezes is nestled halfway up Calabash Boom Road where you can take in spectacular water views of the East End, Hurricane Hole, Tortola, Johnson's Bay and even Norman Island from the expansive stone arched porch that provides around the clock outdoor living and the constant comfort of the trade-winds. This new villa, completed in 2008, was built with family luxury and romantic getaways in mind. 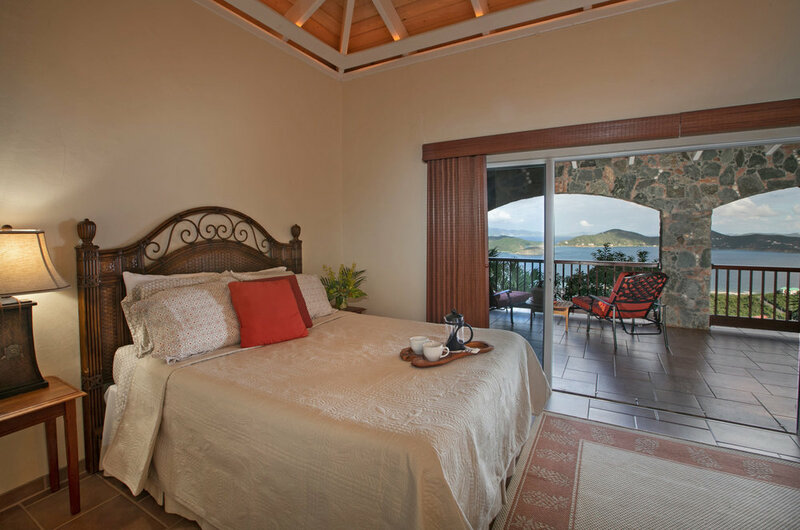 The villa boasts a great room, two air conditioned bedrooms, with new Tempurpedic Mattresses, and two baths, a pool and spa area. The expansive covered lanai is furnished with lounge chairs and plenty of seating for dining, reading, or having a cocktail. 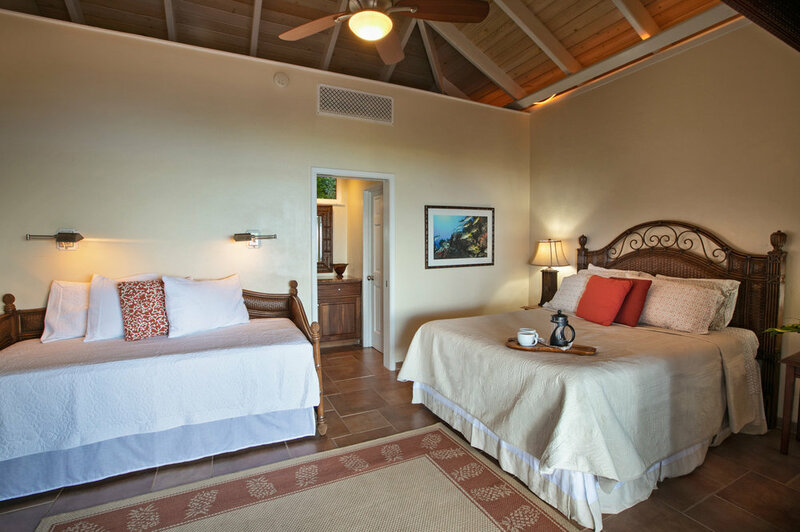 Entering Easy Breezes through its double arched mahogany doors, the earth tones of stone work, granite and mahogany blend together with Tommy Bahama furniture to create relaxed elegance throughout each room. Enjoy modern stainless steel appliances and counter seating for four in the kitchen area or dine at the gorgeous granite dining table for eight. The living room area offers comfortable seating for 6 and a complete entertainment system with a 32' LCD TV, DVD player, and i-pod docking station. Off the great room are two adjacent bedrooms, with queen size Tempurpedic bedding and reading lights. One bedroom features a large desk, complete with wireless internet service and printer to meet your business and personal needs, while the other bedroom offers a daybed. 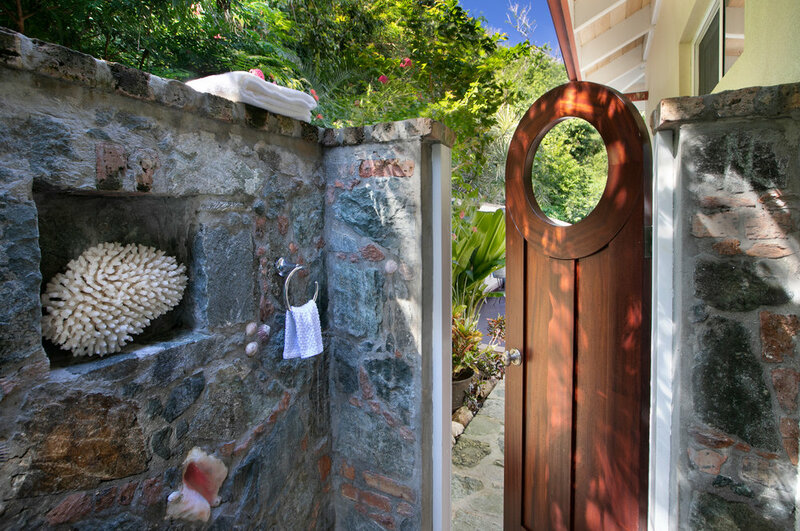 Each bedroom has its own spacious bathroom and private outdoor stone shower. 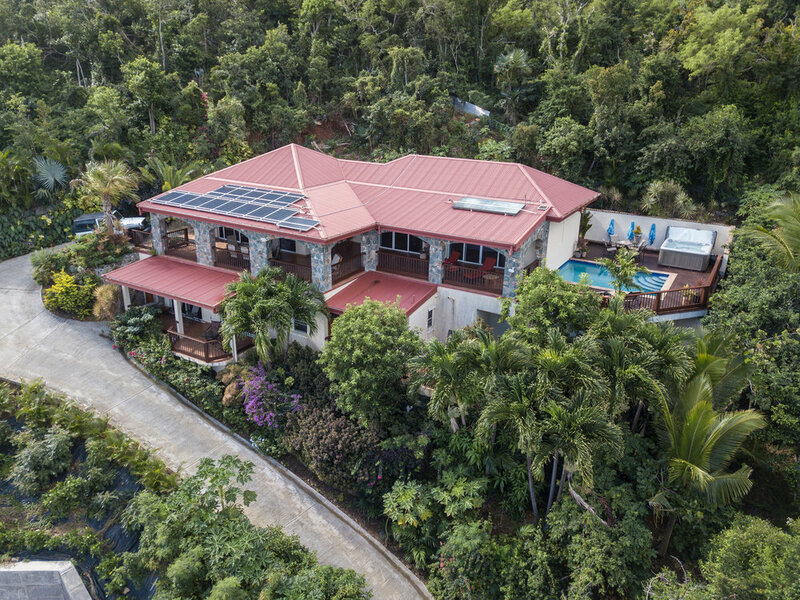 The open deck features a 12 x 16' pool and six person spa, with abundant colorful landscaping, perfect for relaxing after a day after the beach or to simply stay at home and embrace island living. Beach towels, chairs, and coolers are available to use during your stay as well. 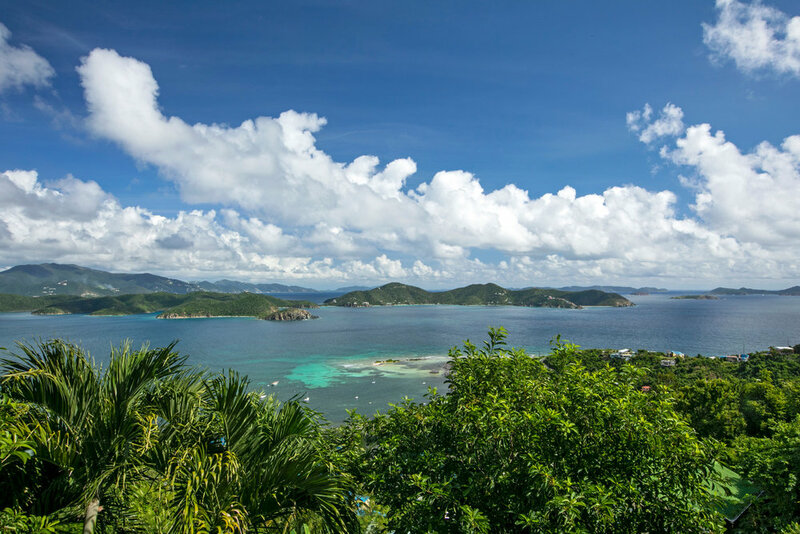 Consider Easy Breezes your Caribbean home away from home. 7 Night Min. stay required for Peak Season. 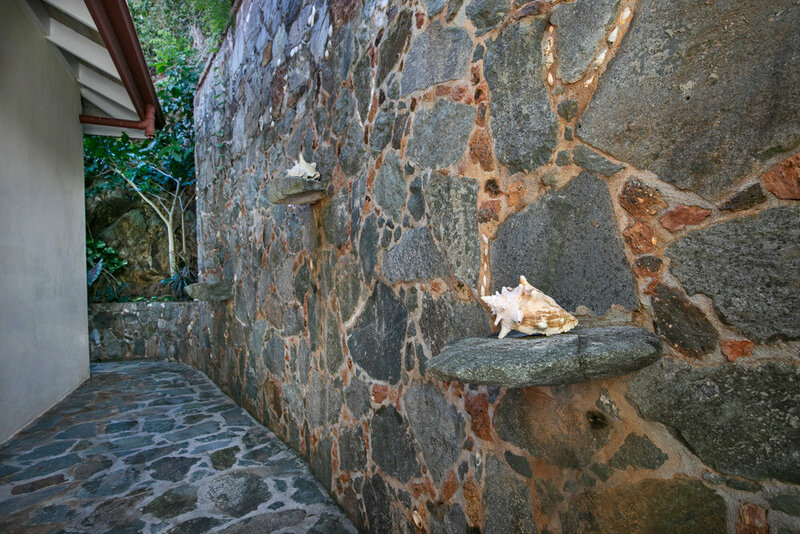 **All villa amenities are on the upper level, owner may occupy the downstairs apartment during specific months of the year; please inquire.